Explore the most symbolic monuments of Madrid on this 60 minute tour. 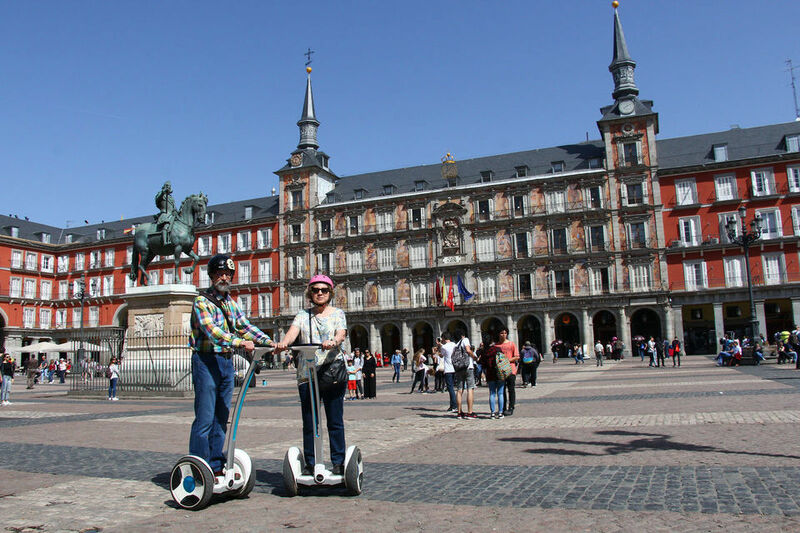 Visit the old town and the royal quarter and discovers places such as the Mayor Square, the Royal Palace, Puerta del Sol or the oldest square in town. Pickup: San Nicolas Street 3. Meet your guide and start with a safety briefing and a short training session. 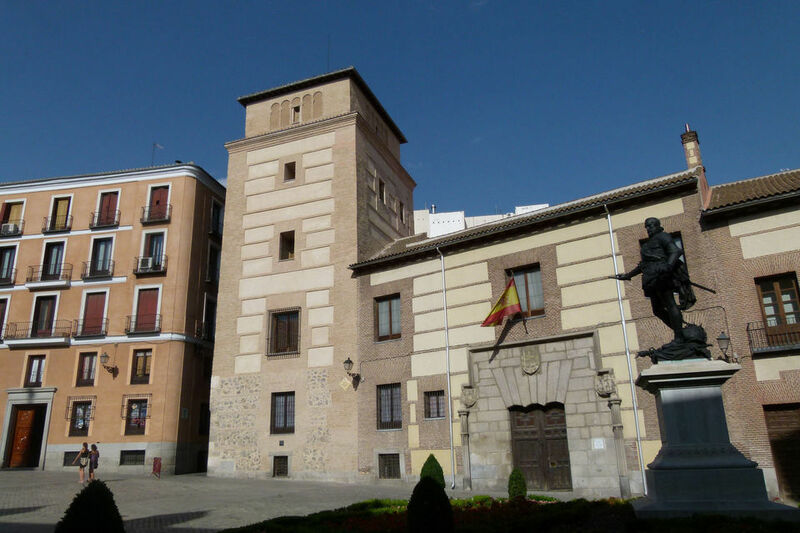 Start the tour passing by the beautiful chuch of Santiago to get into the oldest square in Madrid: Plaza de la Villa. Learn about Madrid's Islamic origins. 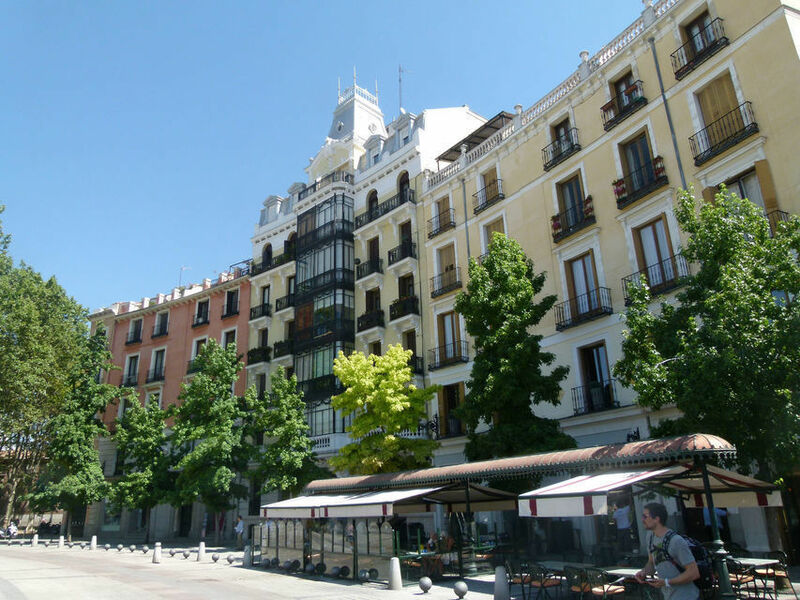 Glide through the most narrow streets in Madrid and pass by the beautiful San Miguel Market to finally arrive to the Mayor Square and its 237 balconies. Continue towards the famous square of Puerta del Sol, the geographical center of Spain and home of "the Bear and the Tree" statue. Always busy, Puerta del Sol is today the heart of the city and its comercial center. Ride through Arenal Street passing by the beautiful San Ginés Church and get to see the Opera House. Explore later the Orient Square and the Sabatini gardens. Admire the impressive Royal Palace - former residence of the spanish royal family- and visit the Armery Square. To finish with, see the modern and eclectic Almudena Cathedral. Maria was simply brilliant. Amazingly knowleable and warm and friendly. She conducted the tour we wanted and gave us lots of chances to have a good go on the Segways. This was a birthday treat from my partner and Maria made it all the more special. Maria était super ! Nous avons fait un tour avec des explications en Francais... tres agréable de visiter la ville en segway et très simple malgré quelques appréhensions au debut ! 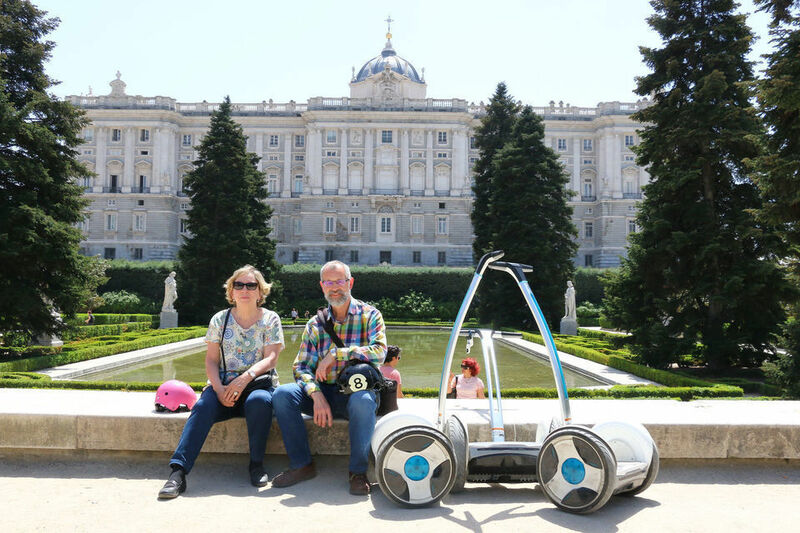 Une superbe découverte de Madrid en Segway. La guide est top. C'est une passionnée de sa ville et elle prend le temps d'expliquer l'histoire des différents lieux et monuments de la ville. Nous avons vraiment passé un super moment. Magnifique tour des plus beaux monuments de Madrid avec notre guide Maria qui veille scrupuleusement sur votre sécurité tout au long de la visite tout en vous distillant des informations intéressantes sur les différents lieux rencontrés et tout cela avec sourire et gentillesse ! Merci pour ce bon moment !